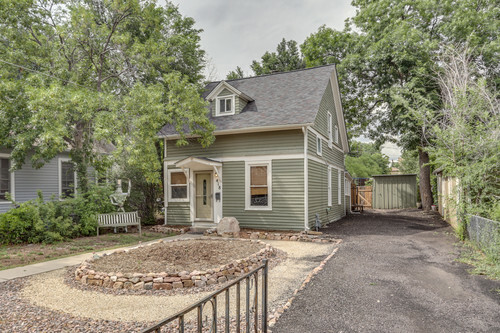 SOLD - Downtown Colorado Springs! A fantastic downtown property that's right in the sweet spot! Very close to everything you enjoy downtown and minutes away from Shooks Run Trail! Remodeled kitchen & bath! Exterior freshly painted, carpets professionally cleaned, 6 panel doors and all appliances included. The fenced back yard is a dream with raised planters, manicured lawn (auto sprinklers), a 16 x 14 deck and 12 x 10 storage shed. Off street parking for up to five vehicles.